Global-Britain explores how UK exporters might trade with Turkey post-Brexit. On a recent trip to Britain, Nihat Zeybekci, Turkey’s minister of the economy was asked what he thought of the UK turning its back on the EU. ‘I don’t see it that way,’ Mr. Zeybekci replied. ‘I think you could rather say the EU didn’t retain the UK as a member. From the EU point of view it is a loss, but are we concerned? No, on the contrary, we see it as an opportunity.’ Some might agree that the minister’s words showed an advanced ability to look on the bright side. Turkish officials, however, have already begun work on a ‘new generation’ free-trade agreement with those looking to trade with Turkey in the UK to conclude with Britain’s departure from the EU. Boris Johnson, Secretary of State for The Foreign & Commonwealth Office and Prime Minister Theresa May have both visited Turkey to discuss how trade with Turkey will be boosted post-Brexit. In January 2017, Theresa May announced a £100 million defence deal to help develop fighter jets for the Turkish air force and Mr. Erdogan, President of Turkey, also announced his intention to boost trade with the UK from its current $15 billion USD to $20 billion USD. With an economy that has grown between six and seven percent a year for much of the past two decades, and even with the slower projected growth rate of three percent this year, Turkey is still one of few middle-income economies in the world showing that kind of performance and with a velocity European countries cannot match, proving that future trade with Turkey will be rewarding. The consultancy firm PWC estimate that Turkey has the potential to grow at an annual average rate of three percent over the next 30 years—compared with 1.6 percent on average for the G7 countries. As part of its 2023 vision, the Turkish government has set its sights on transforming Turkey into one of the 10 largest economies in the world and are projected to be the second-fastest growing economy worldwide by 2018. The UK’s trade with Turkey has quadrupled over the last 15-year period to 2016 between the two nations, making Turkey a major trading partner of Britain. With a bilateral trade volume now amounting to $16.1 billion, Turkey is now the 22nd most important export market for the UK and its 10th largest European export market. Principal export opportunities for British companies are in areas such as airports, environmental services and water, financial services, education and training, ICT, ports and life sciences. Whilst the prevailing top UK exports to Turkey include machinery, mechanical appliances, pharmaceuticals, vehicles, iron and steel and plastics, there is considerable scope for UK companies to enter the supply and service provision chain within the health care sector, with an estimated value to UK companies of £2.5 billion per annum, making trading with Turkey a lucrative venture. The Turkish government’s official policy is to reduce dependence on imports and manufactured goods and ramp-up its own domestic capabilities with a long-term view of becoming a global exporter of high-tech goods. Turkey has continually opened its markets through economic reforms by reducing government controls on foreign trade, investment and the privatisation of publicly owned industries. With respect to Turkey’s investment incentives, a new decree published in January 2012 overhauled the incentives regime and aims to shift Turkey to a more sector-specific approach focussing directly at high value-added, high-tech and export orientated investment to fix its ‘current account problem.’ This includes a raft of new incentives designed to reduce the current account deficit, boost investment support for lesser developed regions, increase the level of support instruments and promote clustering activities and technology transfer. Turkey has four different investment incentive and support schemes: general, regional, large-scale and strategic. These incentives include a mix of tax and customs duty exemptions, social security support, interest support and free land allocation. Priority investment sectors include tourism, mining extraction, railroad and transportation, specific pharmaceutical and automotive, space and defence industry investments. There are currently multiple existing business links between the UK and Turkey with some 2,894 British companies operating there including global British giants such as; BP, Shell, Vodafone, Unilever, BAE, HSBC, Aviva, and Diageo. The UK is also one of the largest foreign investors into Turkey with direct investments between 2002-2015 totalling some $8.6 billion USD. 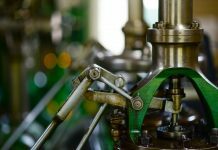 Primed for international commerce, Turkey has a high level of manufacturing potential, as a low-cost, low-price provider, but as a high-value manufacturer with tremendous capabilities and a geostrategic location that connects key markets across Europe, the Middle East, Central Asia and North Africa. Other market strengths at play that make trade with Turkey attractive include shortly becoming the world’s 16th largest economy and Europe’s 6th. Turkey has the youngest and fastest growing population in Europe which currently stands at 79 million (and projected to exceed 83 million by 2023 with half of the population under the age of 34) with access to 1.5 billion consumers in Europe, Eurasia, the Middle East and North Africa and to markets with a total $25 trillion USD GDP within four hours flight-time. In this context, it’s obvious why the UK has been one of the largest investors into Turkey over the last ten years, with an economy that the UK will find increasingly hard to ignore. Clearly though, it has been a challenging time for Turkey. This year alone the country has suffered at least three serious terrorist attacks, a change of prime ministers, spats with Germany and the EU, a failed coup and the continuing spill-over from conflicts across its borders. Some investors have inevitably been put off by the violent and destabilising events that have dominated headlines in Turkey and Europe and the coup attempt, in particular, having heightened the risk perception of investing in Turkey. Distinct operation risk considerations prevalent in Turkey include having an economy seemingly stuck at middle-income status; weak productivity; high levels of corporate foreign debt; a large current account deficit which increases their vulnerability to investment flow and widespread tax evasion and reliance upon indirect taxes. Further, Turkey has a weak currency that is likely to be weakened further still after the expected rise in international interest rates. The country also grapples with a rigid labour market and has a compelling need to build up its human resource base. The mounting fiscal burden of hosting upwards of three million refugees have significantly increased country risk, leading to a recent sovereign rating downgrade by both Moody’s and S&P. Despite this catalogue of recently disquieting tribulations, and the ensuing economic damage caused, it remains obvious that bilateral economic relations between the two countries and future trade with Turkey will become progressively prominent in the post-Brexit era. Turkey was amongst the founding members of the OECD and G20 major economies and has an existing Customs Union with the EU covering most goods, except for raw agricultural commodities. Therefore, future bilateral trade agreements will depend on the UK’s negotiations surrounding the UK’s withdrawal from the EU. Prime Minister Theresa May declined to say whether the UK government will seek an exit from the Customs Union as part of Britain’s Brexit strategy. The Customs Union provides free movement of goods within the EU, whilst imposing a single administrative tariff barrier at its external borders. It is precisely because of this Customs Union with the EU that British companies, for the time being, don’t experience the same frictions they face in other high-growth emerging markets. However, there are unique challenges to consider when deciding to trade with Turkey. These include regulatory issues, bureaucracy, capricious changes to legislation and regulations without warning or consultation and a need to show a commitment to their domestic market either via a visible presence in the country or by fostering strong local partnerships. 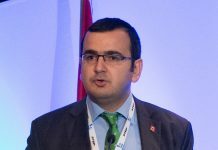 Turkey, whilst also a member of WTO, has a history of failing to tell the organisation of changes to import requirements and applications of non-trade barriers, such as reference price systems and not issuing control certificates. 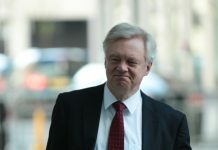 Yet both the UK and Turkish governments have emphasised their mutual intention to expand trade and investment ties and there is likely to be scope to agree on preferential trading arrangements in areas not covered by the Customs Union agreement—such as in agricultural produce, services and public procurement. Turkey and the UK will need to take account of their respective customs and trade relations with the EU and define a new framework. British and Turkish policy makers face a similar problem; both need to reconstruct a relationship with Europe under changed assumptions about their future status. The UK is now on its way to becoming a non-EU member, and Turkey, discerning that it is ever-emerging as a fully-fledged member of the ‘EU Club’, may well remain a convenient fiction in perpetuity. Thus, both the UK and Turkey are starting their political journeys from opposite perspectives; but with extreme irony, may well end up at a remarkably similar vantage point and trade with Turkey may be at its most successful. Scherzando Karasu is a freelance writer specialising in emerging market, business, economic & political analysis.